Yesterday we went Christmas shopping. Now we have more than half of our gifts purchased. The rest we’ll take care of next Saturday because the last weekend before Christmas I refuse to go shopping. I don’t mind going into town to watch all the stressed out poor souls running crazy in order to get the shopping done! I just don’t want to be one of them! 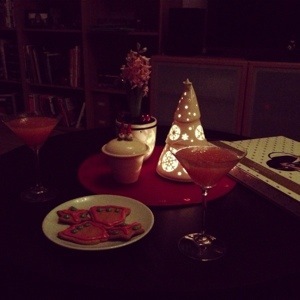 In the evening we enjoyed gingerbread cookies, candy and some candles. Previous Article Winter is here!